The turnaround of the 2017 LA Rams under Sean McVay was truly remarkable. The 2016 Rams were last in the league with a 14.0 point per game average. In 2017, the Rams ranked third in the league as they averaged 28.9 points per game. While the likely main contributor to the Rams turnaround was McVay’s superb leadership and development of a championship-level culture, McVay also did a great job of creating a simple, yet dynamic scheme that Jared Goff excelled in. 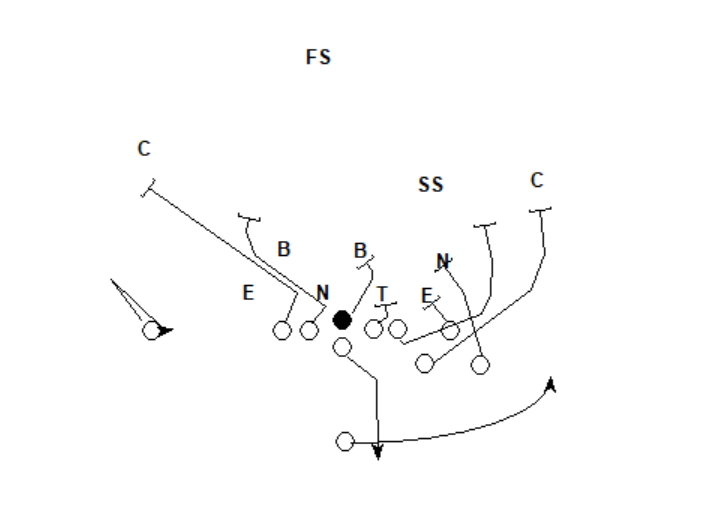 The 1-technique was not rushing aggressively on this play, so the center stays on him and does not release for the screen. The play side guard releases to block the strong safety. 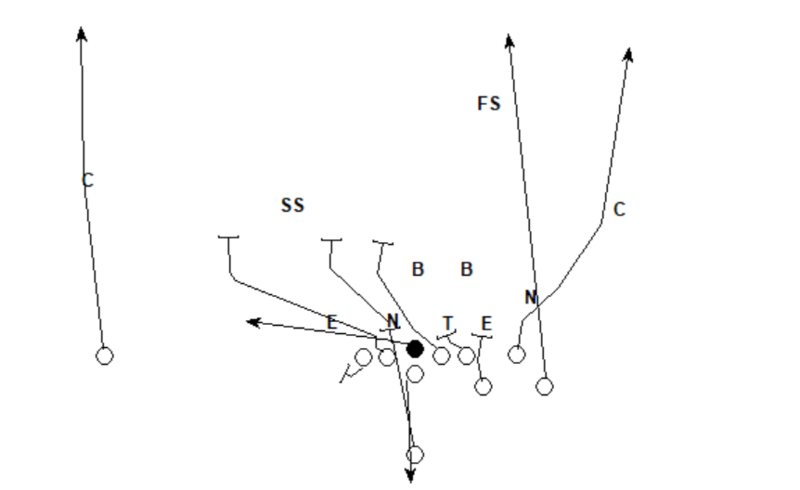 Even though the center does not release, and the backside guard is not able to get out in time to block the play side linebacker, the linebacker hesitates just enough to allow the running back to run away from him on the screen. The passing concept here influences five defenders out of position to make a play on the screen. It also helped to influence both the nickel defender and play side linebacker, which gave the running back and three lineman leverage on these defenders for the screen. 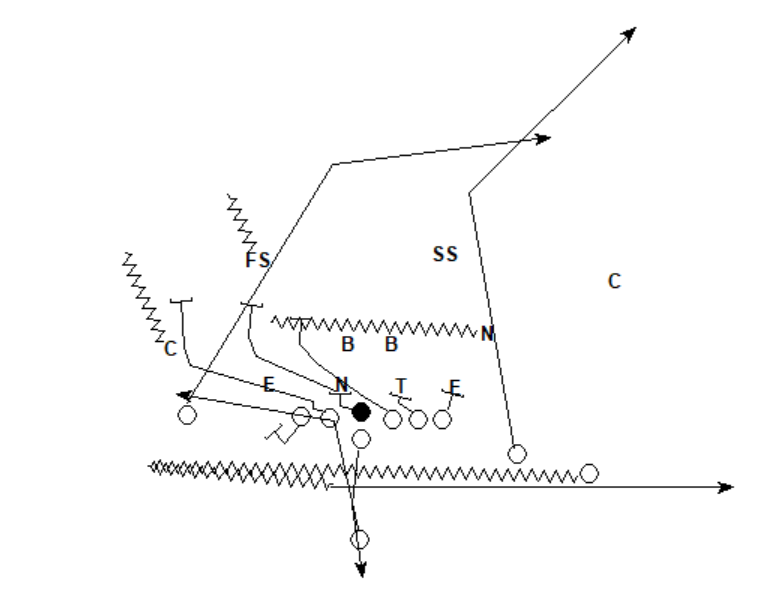 This time, the center felt as if the 1-technique was rushing more aggressively up the field, so he shed him and released to block for the screen. The fake reverse action removes defenders from the play and gives the offense the numbers advantage to the slip screen. 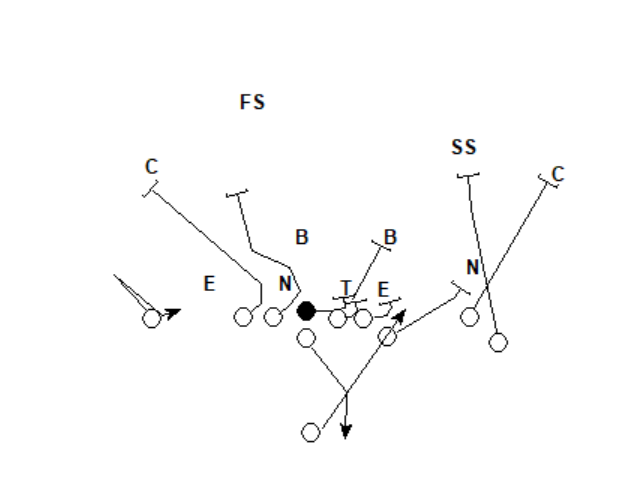 When running towards a 3-technique, the play side guard is now the covered defender. If the 3-technique was not rushing aggressively up the field, the guard would stay on him rather than releasing down the field. 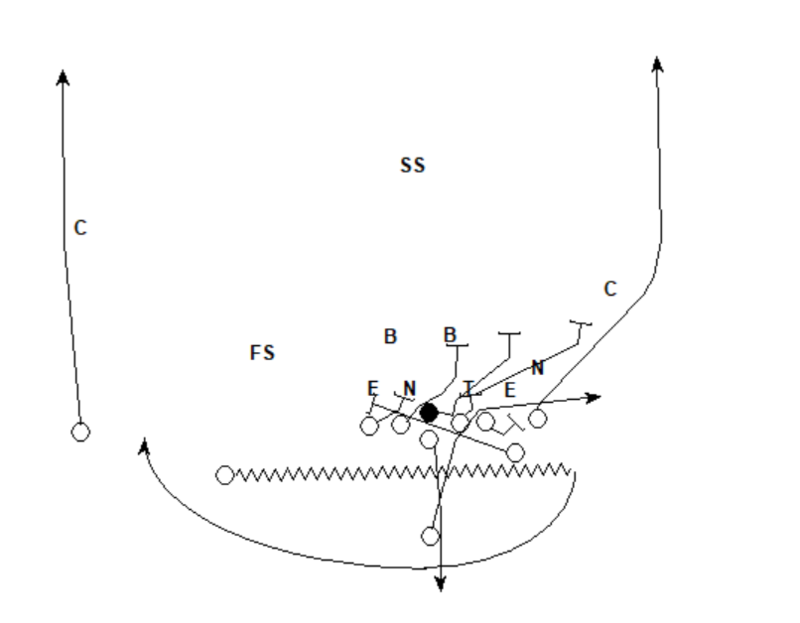 This play also shows how screens can be especially effective versus man coverage. The offense just has to block the one defender who is in man coverage on the receiver of the screen pass. Here, the play side linebacker (No. 95) is in man coverage on the running back, so the offense just has to block that one defender in order to have an effective play. 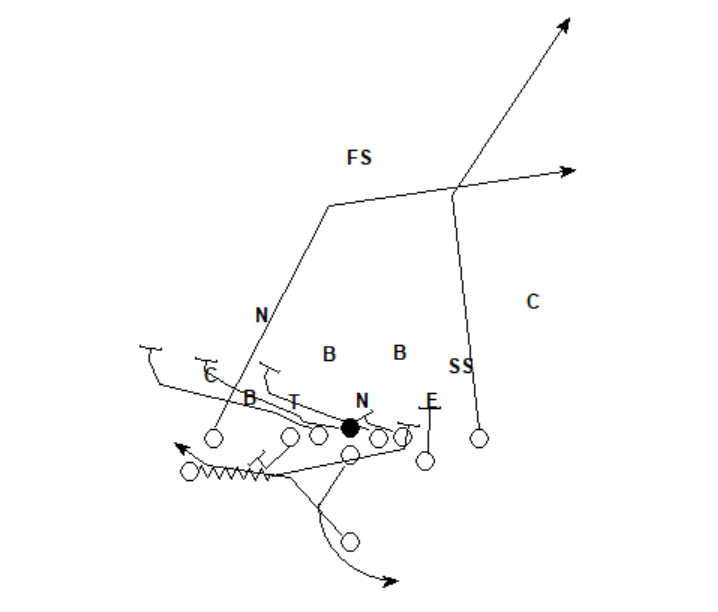 This is a great play to run if no one is following the back on the backside of naked boots. The offensive coaching staff should just watch the backside of their naked boots before dialing up this play if the space is there. The outside zone action leaves the defense with just the backside corner in position to defend the tunnel screen. The offense is able to release the backside tackle to block this defender leading to a 17-yard touchdown. 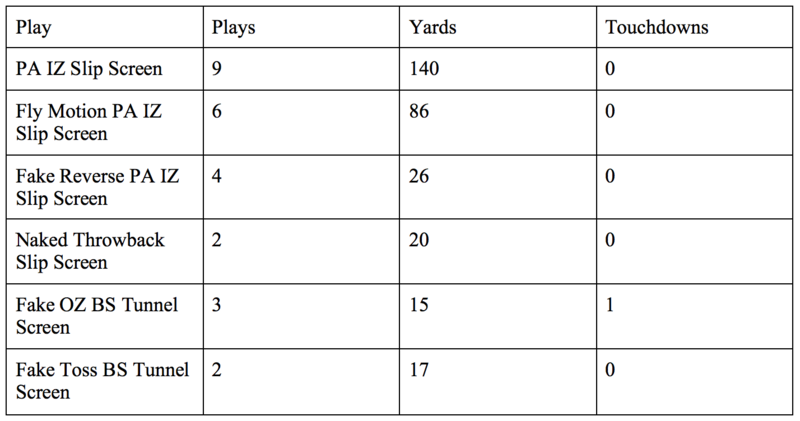 The Rams had a few other ways they ran these tunnel screens, but they were most effective when running them with just one receiver on the backside. This is because the play is best when the corner is playing off coverage, giving the backside tackle a good angle to make his block. When this defender comes up, this is not a good play as the backside tackle now has to work at a very flat angle to make his block. When running this concept with two or three receivers on the backside, the defense is more likely to have at least one defender up close to the line of scrimmage which will increase the difficulty of the backside tackle’s block. Expect to see more of these concepts ran in the NFL next season as many teams likely studied the Ram’s success this off-season.